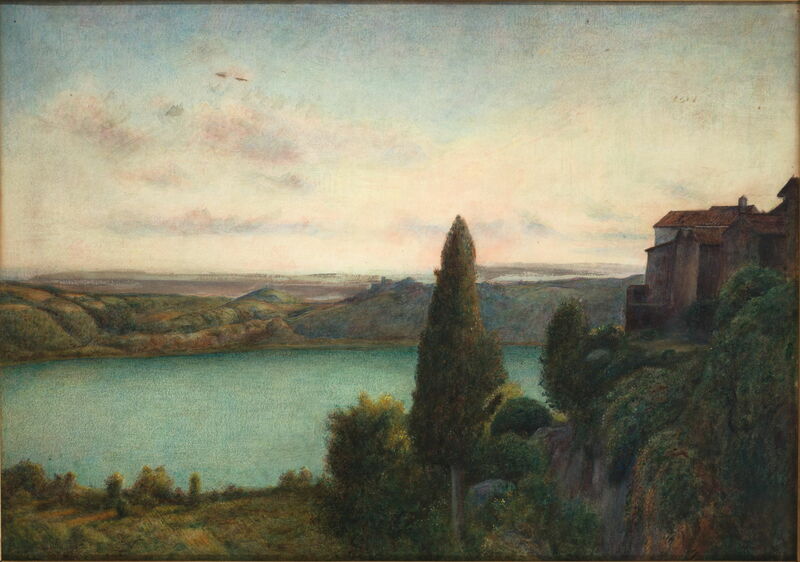 Having completed my short survey of Pre-Raphaelite landscape painting, its characteristics, and difficulties, in this article I’d like to try to set it in the context of British landscape painting during the nineteenth century. This necessarily starts with the major works of John Constable. Although he sketched extensively in front of his motifs, Constable’s finished paintings were all made in the studio, and were carefully composed and adjusted according to his aesthetic concepts. Although there was quite a good correspondence between his paintings and what was actually in nature, he did not set out to copy nature with accuracy of detail. 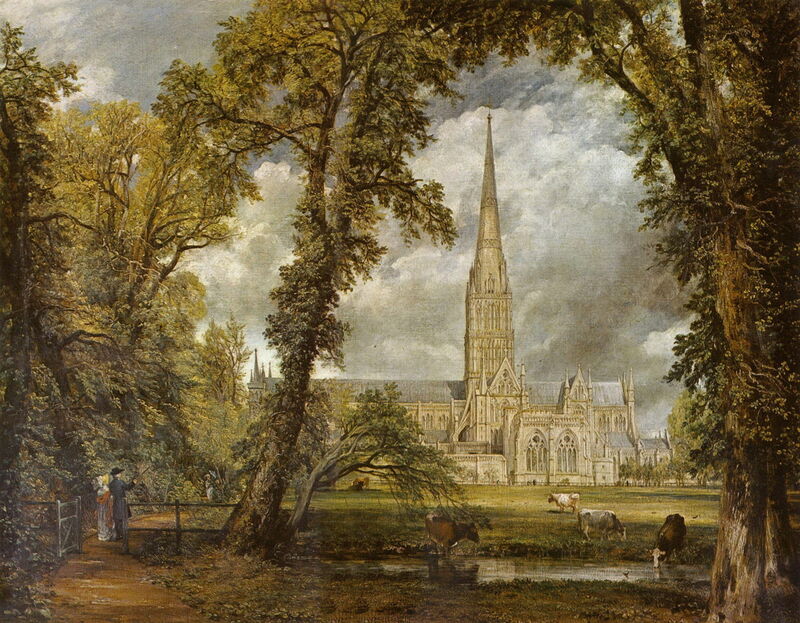 John Constable (1776–1837), Salisbury Cathedral from the Bishop’s Garden (1823), oil on canvas, 87.6 × 111.8 cm, V&A, London. Wikimedia Commons. Constable’s approach was an evolution from the teaching of Reynolds and the paintings of Gainsborough, but in continuation, not a step change. His finished works were also rich in fine detail and in some passages quite painterly, although much less so than his sketches and studies. 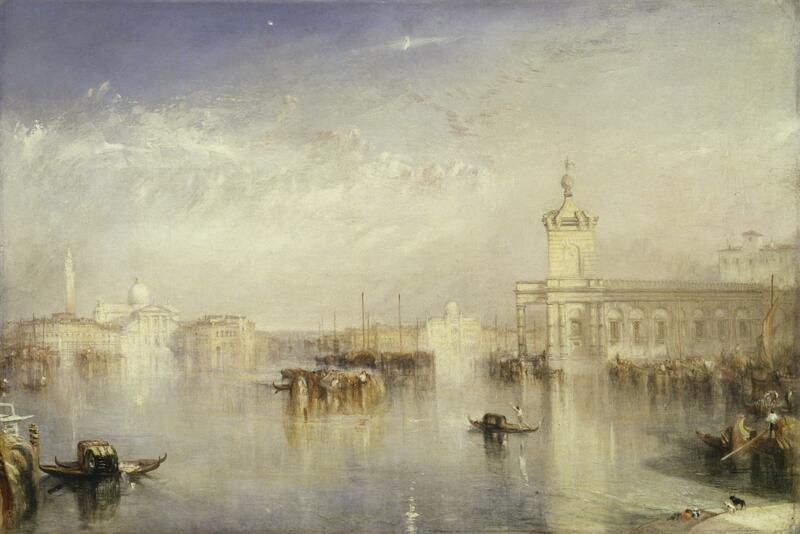 In his early career, JMW Turner also followed established practice in painting landscapes. 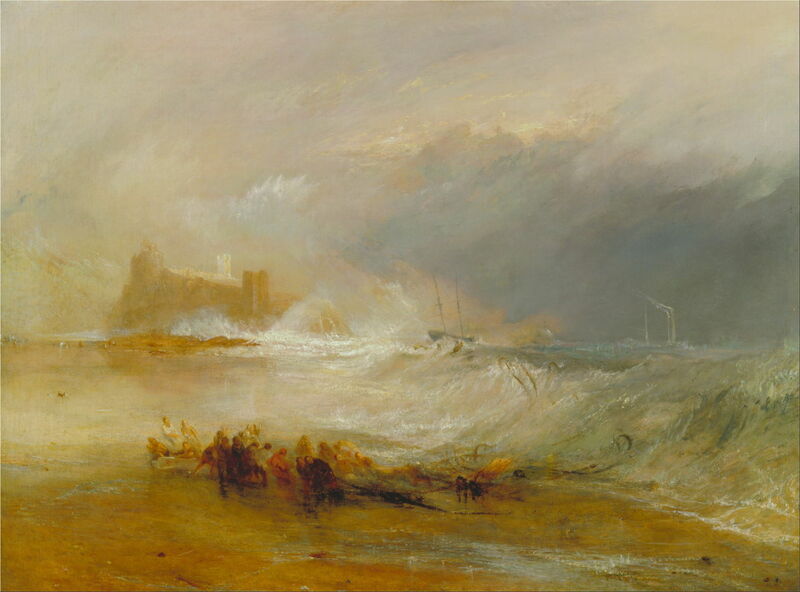 But as Constable’s brilliance was fading later in his career, Turner became more experimental, and started to produce radically different paintings in which the effects of light became dominant. This was most florid in his seascapes, but apparent on land too. Joseph Mallord William Turner (1775–1851), Wreckers – Coast of Northumberland, with a Steam-Boat Assisting a Ship off Shore (1833-4), oil on canvas, 122.6 x 153 cm, Yale Center for British Art, New Haven, CT. Wikimedia Commons. Generally, his paintings retain fine detail in the foreground, but more distant passages and the sky are often more vague and sometimes quite overtly concerned with conveying an impression. Even details are often painted very gesturally. Like Constable, Turner made many plein air sketches and studies, but those paintings intended for patrons and the public were made completely in the studio. 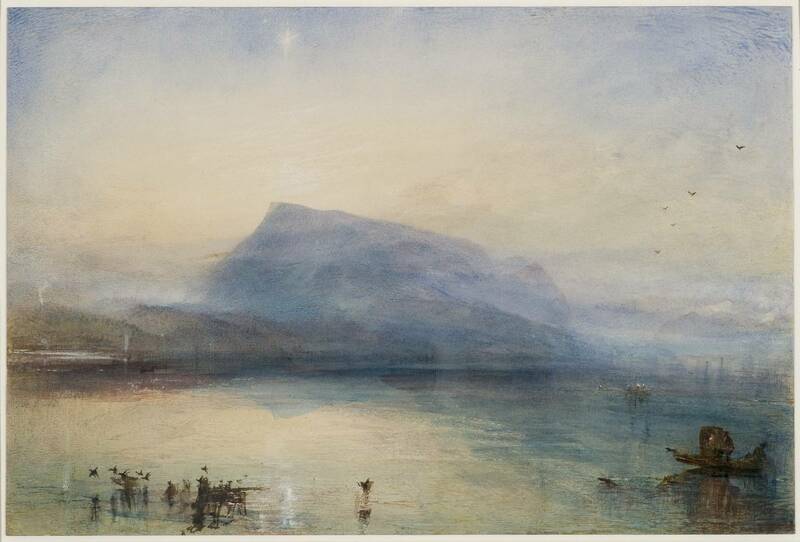 So the direction of travel in British landscape painting in 1850 was for it to become looser, and more concerned with conveying the overall impression of the landscape and the elements within it, in particular the effects of light and atmosphere more generally. As such, paintings were often relatively light, and often featured high chroma passages. It was becoming less concerned with the minutiae of detail, and expressed its details in a more gestural, rather than literal, way. 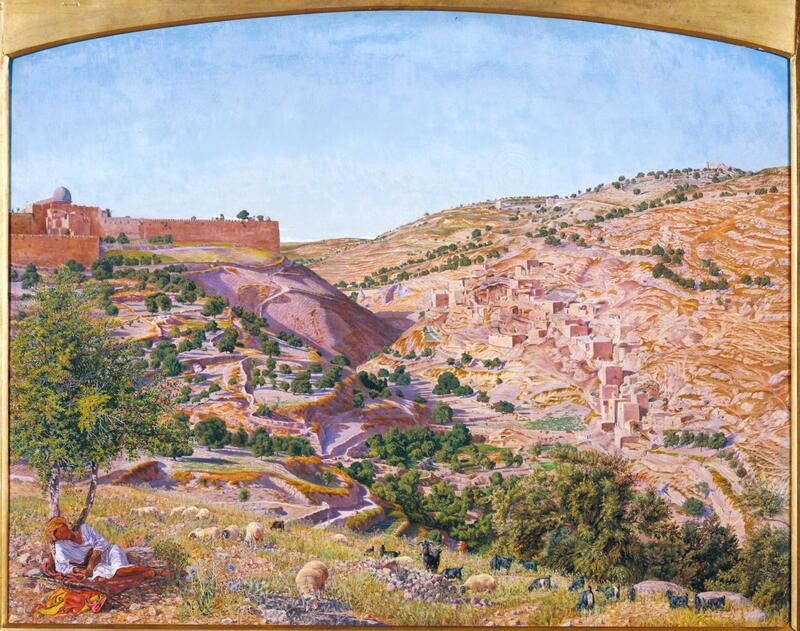 Substantial landscape paintings were still being produced in the studio, but based on sketches and studies which started with those painted in front of the motif. In complete contrast, the Pre-Raphaelite landscape was highly detailed, ideally painted entirely en plein air, and ‘true to nature’ (whatever that could be interpreted as meaning!). It did, though, usually employ high chroma colours. 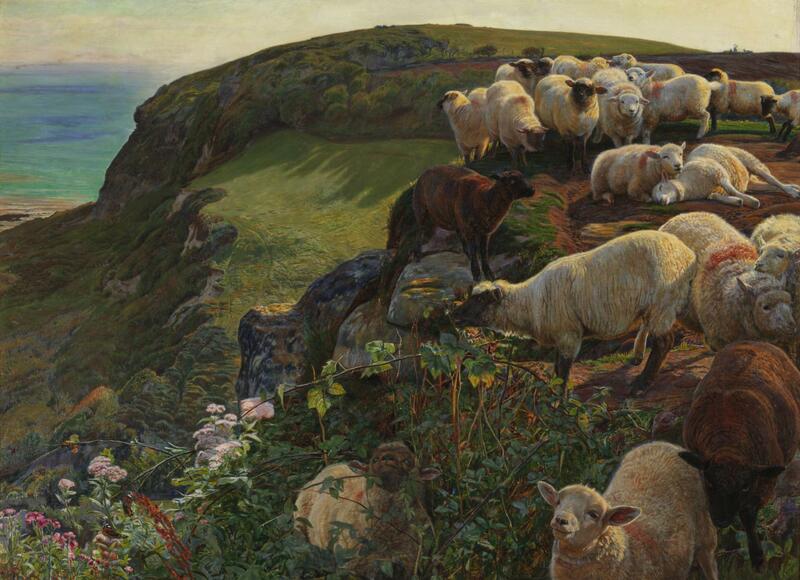 Paradoxically, many of the Pre-Raphaelite landscapes did not depict a motif which had ever existed, but a composite of passages from different motifs, assembled in a similar way to their figurative works: this is certainly true of Holman Hunt’s Our English Coasts, 1852, for example. You can wander around the location in which it was painted – the Lovers’ Seat, overlooking Covehurst Bay, near Hastings, on the south coast of England – and you will not see the view depicted in the painting. Yet in painting some of its fine details, Hunt went to great lengths to work from nature: one of the last such details to be completed were the butterflies at the lower left, which were painted from a single live specimen which the artist examined indoors after the rest of the painting was all but complete. 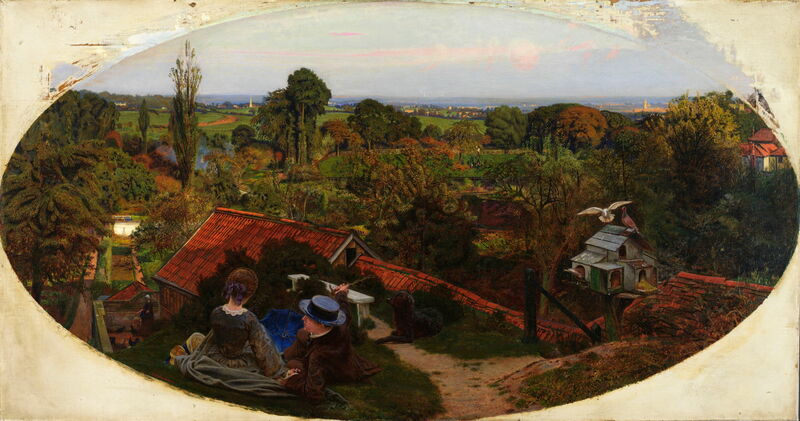 Ford Madox Brown and Thomas Seddon also undertook protracted outdoor campaigns to conform as closely as possible to the ‘ideal’, however distant that was from what we now view as the greatest achievements of Turner. 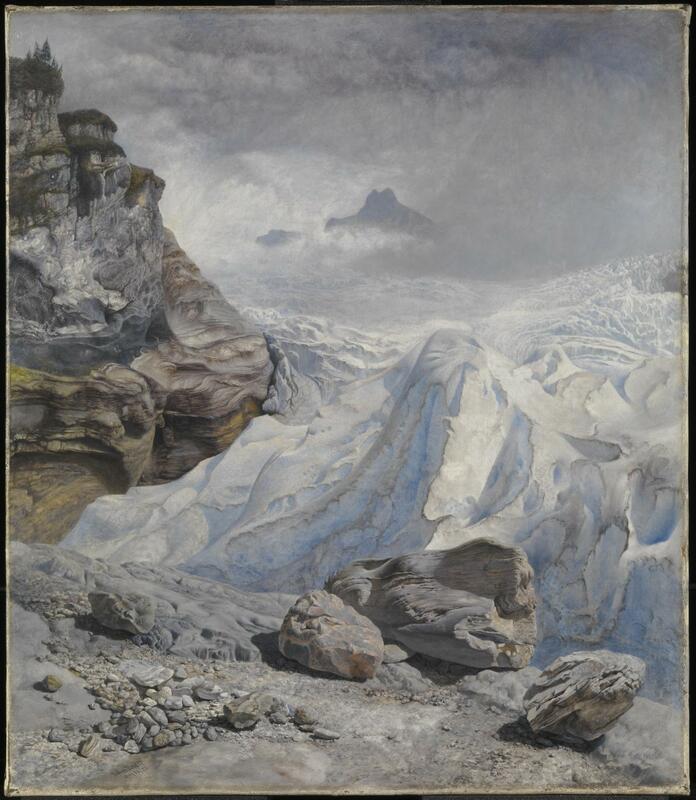 As the pioneers of the Pre-Raphaelite landscape were moving on, perhaps its greatest exponent was just getting started, with a view which might have inspired Turner during his earlier Alpine travels. 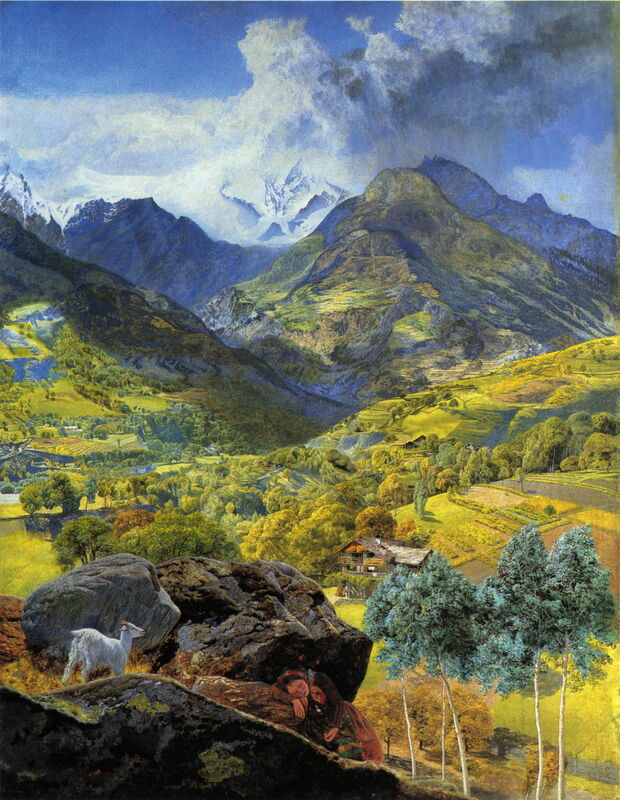 But John Brett was motivated by the Pre-Raphaelite cause, and John Ruskin’s prescriptions. Even Brett was forced to ‘cheat’ a little, usually completing a view which he had started en plein air over the following months in his studio. Brett seems to have kept very close to the ideals until about 1870, when he painted more commercially, and returned to the practice of composing in the studio from sketches and notes made in front of the motif. The Pre-Raphaelite landscape did not vanish entirely, though. 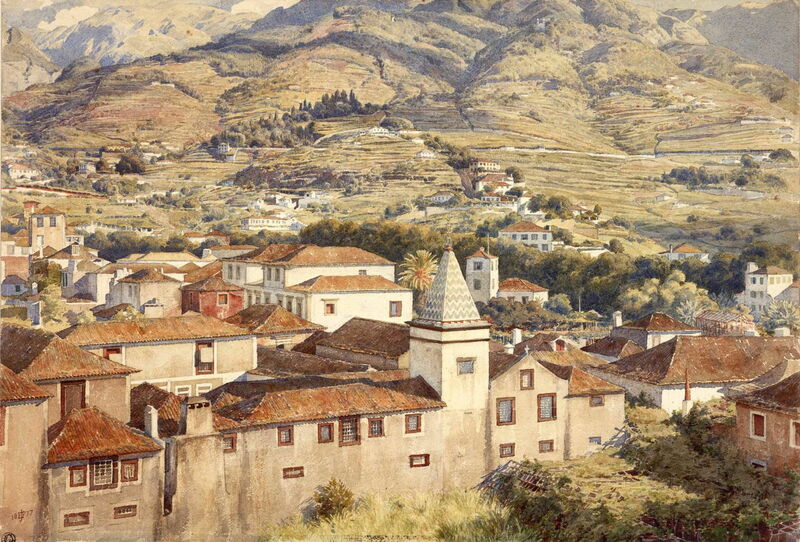 Not known for his landscape painting, Sir Edward Poynter made this highly detailed watercolour from his balcony above the town of Funchal in 1877. A few of Brett’s later landscapes still upheld some of his earlier ideals, too. But by the last years of the century, even those like Marie Stillman, who had been close to the Pre-Raphaelites, were more influenced by Turner, and the changes which had been happening in mainland Europe, particularly Impressionism. 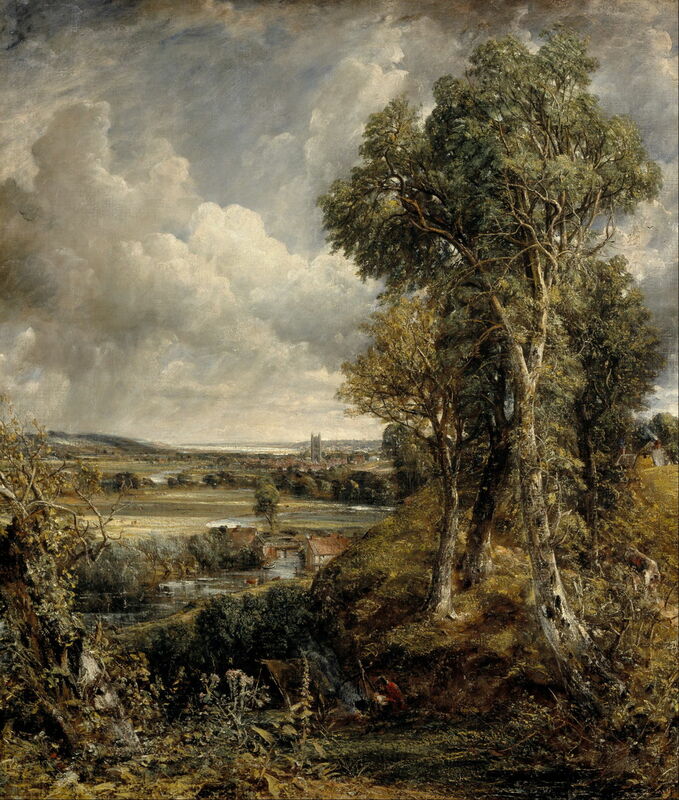 When JMW Turner died in 1851, there was no subsequent British landscape painter who accomplished as much as he had, or was even as significant and influential as John Constable. The painters of Pre-Raphaelite landscapes may have been engaged in a more modest enterprise, but I find it hard to believe that, when Monet and Pissarro stayed in London during the Franco-Prussian War in 1870-71, those Impressionists did not see their paintings (as they may already have when British works had been exhibited earlier in Paris). It has been traditional to state that the French refugee artists were most interested in the landscapes of Constable and Turner, and that those paintings inspired their innovations in the use of colour. 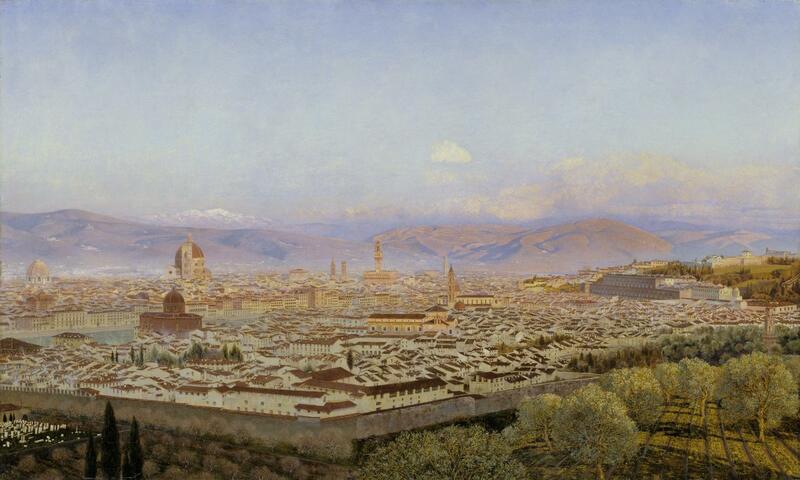 But at the time, by far the highest-chroma landscape paintings which they would have been likely to encounter in London were surely those of the Pre-Raphaelites, who were also extreme exponents of plein air painting in oils. Whilst the Impressionists were clearly not won over by the Pre-Raphaelite obsession with detail, I wonder if their use of colour made a deeper impression. Posted in General, Painting and tagged Brett, Britain, Constable, history of painting, Hunt, Impressionism, landscape, Monet, painting, Pissarro, Poynter, Pre-Raphaelite, Seddon, Stillman, Turner. Bookmark the permalink.